After four months and seven days, Mr Amritpal Singh was eventually repatriated to India on the 17 months and 6 days following his death. His cremation took place on the 18th of February. 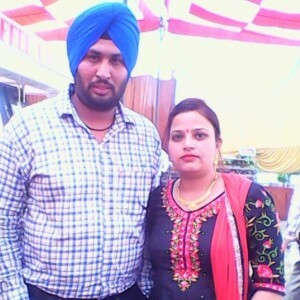 Mr Amritpal Singh lives behind his wife, his 14th month son and his parents. Concerns remain in relation to the considerable delay in repatriating Mr Amritpal Singh’s body, the lack of information from both the Indian and the Saudi authorities to his devastating family and the reasons for the delay. Mr Amritpal Singh’s family were prevented from grieving without having sight of his body. This compounded and added to their suffering. Despite numerous requests and assurances by the Indian authorities repatriated Mr Amritpal Singh’s body via Delhi Airport and not via Amritsar Airport as requested since Mr Amritpal Singh’s family are passed in Punjab. Once again, this added to the distress of the family. Campassion and respect for their nationals in India appears to be non existent. Information surrounding Mr Amritpal Singh’s death remain vague and official unconfirmed. His family were informed that Mr Amritpal Singh was the victim of a road traffic collision on the 5th of October 2016, when he was mowed down by a speeding driver as he crossed the road. The driver, a Saudi national stoped at the scene of the accident and admitted that he was speeding. Attempts are vbeing made to ascertain the action taken by the Saudi authorities against the driver. It is not yet clear whether he has or is going to be prosecuted. The family of is yet to receive Mr Amritpal Singh’s accident and post mortem reports as well his personal belongings.